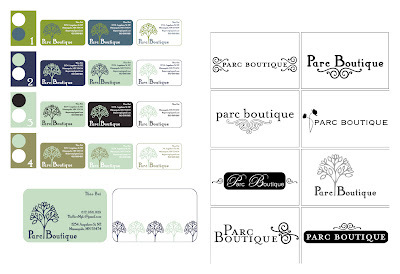 One of the most recent projects that I have had the pleasure to create is the business identity system including logo, color pallet and business card, for the Parc Boutique. The Parc Boutique will be opening in the Twin Cities soon, and I cannot wait to purchase clothes there! I love shopping clothing boutiques, so I was honored and excited when Thao Bui, one of the owners of the Parc Boutique approached me to design her business identity. Thao and I worked closely together to create the perfect look for her company. I gave her many options to choose from and she was quite pleased with the final product. Here is what Thao had to say about my work. “Jessica was a pleasure to work with. I really liked that she gave me options to choose from during each phase of the project so we were always both on the same page. I am so glad I decided to work with her."